I recently interviewed, Aja McClanahan, who told us how she and her husband built a plan that took seven years to pay off $120,000 in debt. At a young age, they are now debt-free! 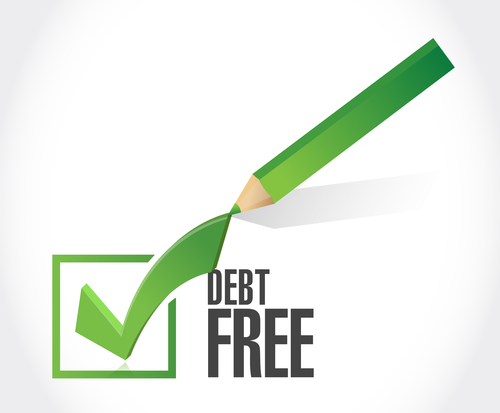 While they should celebrate, becoming debt-free is just one major milestone in a longer journey. It’s exciting and frustrating to finally get to the top of the hill, only to find another major challenge in front of you. Although you are sleeping well, no longer worrying about creditors banging on your door, why are money concerns still nagging you? It may be the realization that being “debt free” is only part of being financially and emotionally free and independent. The journey must continue…. It’s very comprehensive – five modules and runs over three hours. I never recommend anything I can’t personally stake my reputation on. This is a “MUST SEE” for our readers. 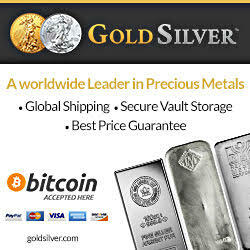 Goldsilver.com is making it easy for us. They charge $199 for the entire course; however, if you sign up before August 15th, they are offering 50% off. When you are working, you are trading your time for money. 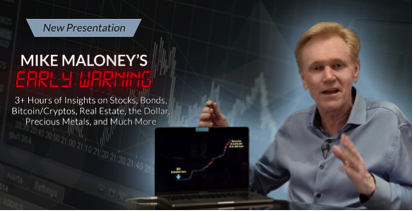 It’s the opposite when you retire – you trade money for time – time to do things you enjoy. You may choose to keep earning money, but it is on your terms for your enjoyment. Until you have built a nest egg that allows you to control your own time for the rest of your life, you are not truly independent. Once you are debt free, you can begin to accumulate wealth. It was easy (by comparison) to add up how much debt you had accumulated, look at your income, and build a plan to pay off debt. The next step is more challenging. You are projecting into the future. 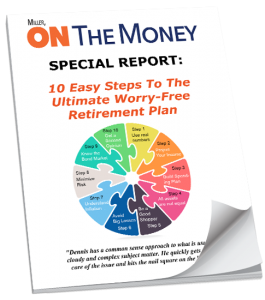 When do you really want to be able to retire? What will it cost to live? How much money will you need? Start with some basic retirement planning tools. Here are some examples, from Bankrate and Kiplinger. Hopefully, you have the benefit of time ahead of you to continue accumulating wealth. Set some interim goals. As you learned when you were paying off debt, achieving and celebrating milestones is very motivational. Financial planners mean well, may have terrific pedigrees, and use sophisticated computer tools – however, unless they have been retired, it is still theory. Seek out mentors who have been there and have experience. Some may have flunked retirement, others may be financially comfortable. You may find their input is not what you read in financial articles and textbooks. Accumulating enough money to retire and leaving your full-time job are two separate events. You want to have more than enough money well before you stop working. Knowing you can quit will make the last years of your working career even more enjoyable. Pay yourself first and learn to live on the rest. If you have the benefit of a tax-deferred saving program, particularly if there is any type of employer matching provision, save to the maximum. As you get older, take advantage of the “catch-up” provisions and save even more. I’ll fess up and admit that it was difficult to not want to spend money and buy cool stuff when you could write a check for it. 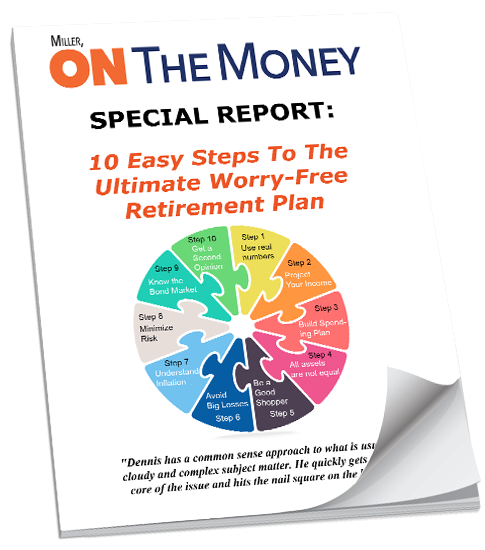 I looked for ways like an IRA where I would save and know I could not easily access the money. Being self-employed, at the beginning of each year, our first saving objective was to maximize the amount earmarked for our retirement program. Once you have learned to save and enjoy life living on the rest, you have passed a major hurdle. 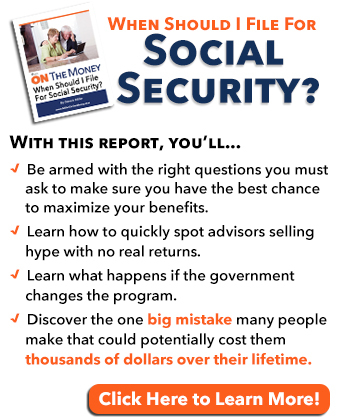 Realistic expectations about Social Security? 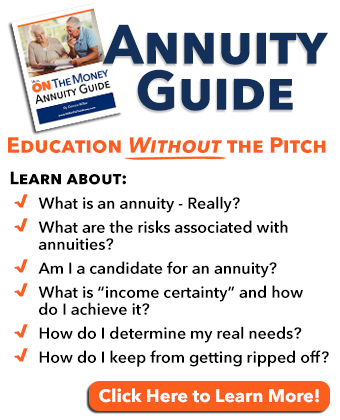 Note that the retirement planning tools include Social Security and other investment calculations. Don’t bank on it! Never expect a real Cost of Living (COLA) increase. Set your goals a minimum of 25% higher than the computer suggests. While you and your spouse may be totally synchronized in working and planning for retirement, if you have children, and then grandchildren things change. You may become the patriarchs of the family, particularly if you have accumulated some wealth. Plan for unexpected financial events. We know of many cases where grandparents are raising and educating their grandchildren, something they had not planned on. If you are lucky and don’t have the unexpected, you’ll enjoy having some extra money when you get toward the end of the line. Many baby boomers and retirees began diligently saving for retirement as the children left the nest. They used the most sophisticated computer planning tools available at the time. I can attest that the “conservative” number used by financial professionals was a 6% return on your capital – you could earn 6% in an FDIC insured CD. We had saved well above the goal the computer suggested and were enjoying safe 6% returns on our money until the government decided to bail out the banks at the expense of seniors and savers. Overnight, they dropped to around 2%, a 66% reduction in income from retirement savings. Retirees and early baby boomers (1946-1964) had the financial foundation pulled right out from under them just as they were leaving the workforce, with little, if any, time to adjust their plans. Mr. Mauldin & Tepper are exactly right in their description. My advice to those who are still working? Don’t count on the government. Save a lot more than you think you will need. Expect the unexpected. I’ve never heard a retiree complain about having too much money! Working with a licensed, experienced financial professional is recommended. You may delegate, but never abdicate the responsibility for your life savings. I’m continually amazed at how people feel any financial manager knows all there is to know and blindly follow their advice. Many financial managers today simply fill out forms and enter data into computers. 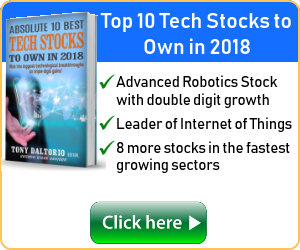 The computer prints out a recommendation, often creating the illusion that diversifying your life savings among several (fee-based) mutual funds is safe. Our recent article, Are Investors Trapped? outlines how vulnerable investors are when the market makes a quick downturn. There is no such thing as “set it and forget it”. I’d question any financial advisor who counsels, “We will sell when the computer gives us the alert!”. Sorry, that is way too late and you could lose a lot of money. You are out of debt. You took charge of your financial life and are well ahead of most of your peers. The lessons you learned are a result of self-education, learning, goal setting, self-discipline, celebrating and continuing the process. Self-education, particularly when it comes to savings and investing is a process, it is not a one-time event. Keep it going! Click HERE and download your FREE copy now! Learn from your financial manager by asking questions. Don’t be satisfied with half-answers or responses you don’t fully understand. Read books, spend time on financial websites on the internet, and most of all build relationships with mentors who are ahead of you down the road in life. You have the skills, just keep applying them and have fun and enjoy the ride! Have you noticed some traits exhibited by your children follow them throughout their entire life? My oldest son Dean was a young lad when I explained to him the metal Tonka truck they had for a few years was “indestructible”. They were built strong and Tonka advertised that kids could not break them. I came home from a trip and he stayed up late to proudly show me they could be broken. He destroyed it! He took it as a personal challenge. The Navy sent him to MIT to get a master’s degree in nuclear engineering. On the first day in class the professor announced he wanted to be clear, he did not believe in giving anyone an A grade. After class Dean approached him and said, “I want to talk to you about amending your grading procedure. I’m going to make it impossible for you not to give me an A.” He graduated with straight A’s. Well, he did it again! Anyone ever heard of rideleloop.org? 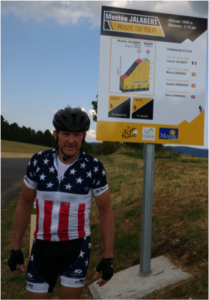 It’s a bicycle ride over the same course as the Tour De France that takes place just before the official race. 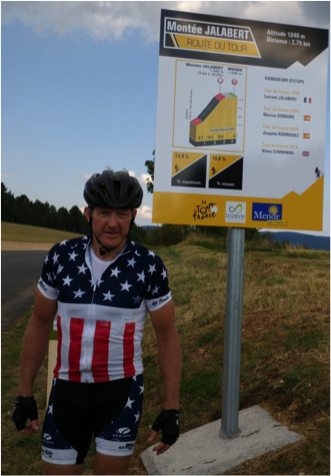 656.23 miles, 45:12:45 riding time, 66,257 feet of climbing, highest elevation about 6,700 feet. I forgot to mention, he is 56 years old! I may challenge him to a second career as a motivational speaker. This week’s humor is supplied by friend Betty I. An old man is walking along a beach when he comes across a lamp partially buried in the sand. A large genie appears out of the bottle and tells him he has been granted one wish.